What to Do When Driving Through a Flooded Road? What If You Get Stuck? We tell you some quick to follow tips which are going to help you in driving in flood conditions. Also, we tell you what should you do if you get stuck. With several parts of the country receiving high rainfall, this year’s Monsoon has brought more distraught than a joy to the nation. As the state of Kerela continues to battle with massive rainfall and the consequent flooding, many other parts of the country are not far behind in reaching a similar situation. Life in such conditions becomes almost a nightmare with food shortages, loss of livelihood and the complete dismantling of basic public infrastructure. Transportation in flood-affected areas also becomes a huge problem as roads become canals with water levels reaching dangerous heights. What should one do then if he or she has to, in any condition, navigate through a flood struck neighbourhood in a four-wheeler? What should be the immediate steps they should take in case they get stuck? 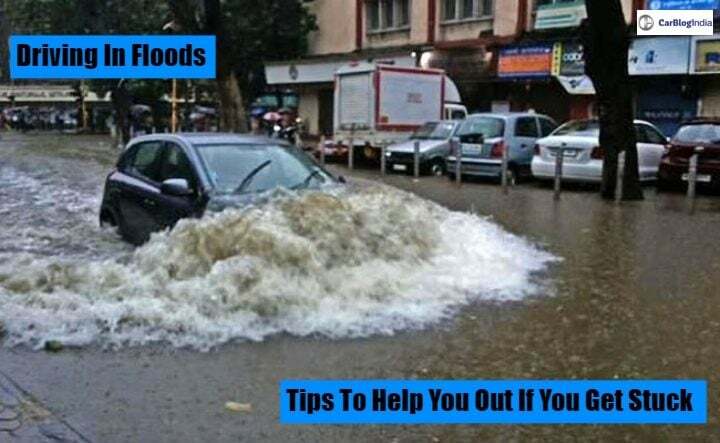 Well, in order to sort this out, we have prepared a detailed guide to help you out if you ever to encounter a ‘driving in flood’ situation and tips for in case you get stuck. Read and memorise! 1. Keep the engine revving higher– Before driving in a flood, assess the water level and condition of the streets. If favourable, drive through the street on the first gear and keep your engine revving higher than usual in order to keep the water entering from the exhaust and damaging the engine. 2. Drive Slow– Heavy rain results in low visibility and minimal traction. Hence, when driving in flood water, the best advice is to go easy on the brakes and throttle. This result in hydroplaning, which will cause you to lose control of your car. The braking distance for cars also and in the case of Mumbai, it increases even more because of its concrete roads. 3. 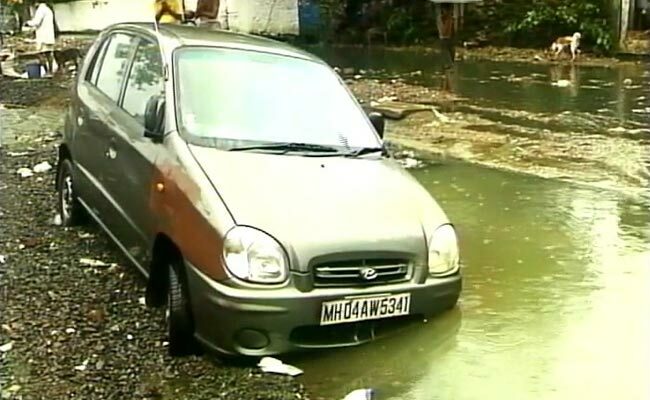 Abandon your car if the water level reaches the door- If the water level doesn’t show any sign of reducing, its best advised to park your car in the corner of the road and inform a civic body. 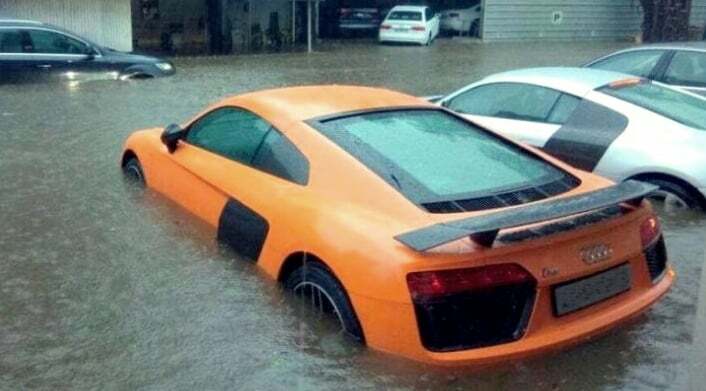 If someone continues to drive in a heavily waterlogged street, chances are that the car might get locked from the inside and the windows will also not function due to electrical failure. You must find a safe corner spot for your car for parking. You can always salvage your car later on. 4. Head Rests double up as glass breakers- If you happen to be stuck in your car surrounded by water, you can use your car’s headrest as a glass breaker to set free. Even though it is advised to keep a small hammer in the car’s boot or in the glove box for emergency situations, your car’s headrest can save your day for doubling up as a glass breaker. While breaking the window or windshield, just maintain some distance with it as you may get injured. 1. Turn off the engine- You risk the flooding of your air inflow with water if you continue to drive on a waterlogged street. The first thing to do when water becomes a lot to handle is to switch off your car engine. This will prevent water from entering the air intake and choking the engine. If your air intake is already compromised, it is still advisable to switch off the engine so as to avoid its seizure. 2. Park in the corner of the road– Don’t park your car in the middle of the road and abandon it. Try to park your car away from trees and poles so as to avoid any catastrophic accident. If a corner is not accessible, it’s advisable to park at some higher patch of ground, away from water before you can restart your engine. 3. Disconnect the battery- If you can, remove the battery connections of your car. This will avoid any accidental short circuits and will keep the electrical system safe. Once you reconnect, check all electrical systems carefully and if you see any flickering or disturbance, turn the engine off and contact your mechanic. 3. Disconnect the battery– If you can, remove the battery connections of your car. This will avoid any accidental short circuits and will keep the electrical system safe. Once you reconnect, check all electrical systems carefully and if you see any flickering or disturbance, turn the engine off and contact your mechanic. 4. Wait for the water to recede- After leaving your car in a safe spot, wait for a few days for the water level to decrease. Once you revisit your car, do not turn on the engine as some moisture might still be there in the engine. You also have to disconnect your battery, if you didn’t do the same before. Start drying the interiors of your car and take your car to a mechanic for repair. You should contact your insurance company if your car insurance covers flood damage. So these were our tips and suggestions as to what you should do in a flooded situation. Do let us know your feedback in the comment section below and keep following us on carblogindia.com for more. What do you think of our tips for driving in flood water? We hope you find these useful. Stay tuned on CarBlogIndia for more such tips and bits of advice.